Discovery Channel has set a July premiere for "Cuban Chrome", its new reality series focusing on Cuba’s classic car culture and the island nation’s fascination with American vintage cars. 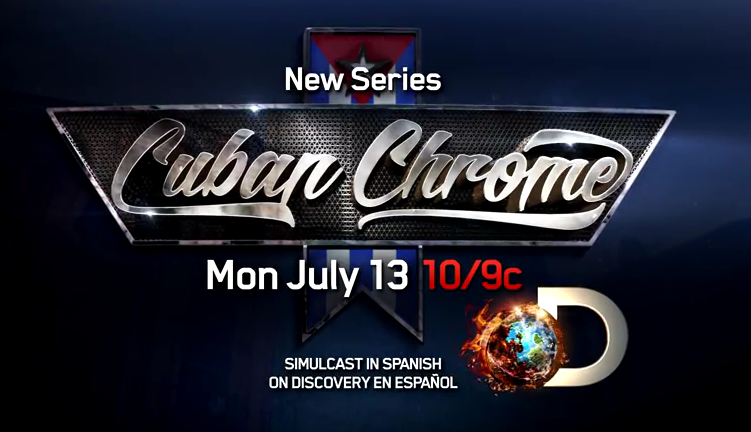 Billed as the first U.S. television series to be shot entirely on location in Cuba, "Cuban Chrome" will debut at 10pm on Monday, July 13, 2015 and will be simulcast in English on Discovery Channel and in Spanish on Discovery en Español. The series was first announced at Discovery’s upfront in March. For more information, and to see a promo clip of the series, read the Denise Petski article in Deadline by clicking here.